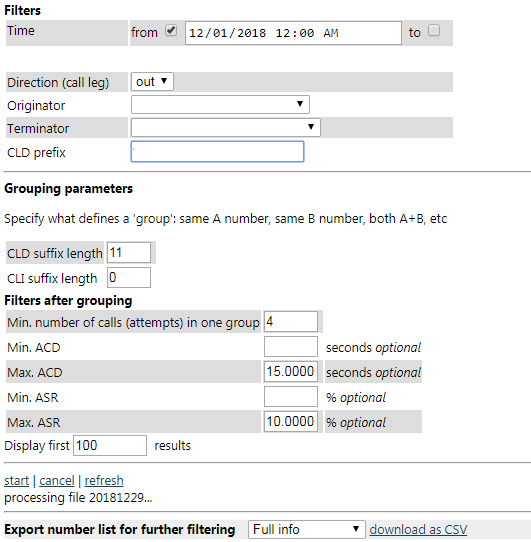 The CDR Analyser (Analysis Tool) is a software module in StarTrinity Softswitch which is used to process CDR records (call history), generated by this softswitch and other softswitches. The software module opens list of CDR files, analyses the data and reports meaningful statistics as list of numbers. The generated list of numbers (A, B, A+B, complete numbers, prefixes) is tested against live traffic to estimate its efficiency - ASR and ACD.